Centrally located in the heart of Kirkland, the Kirkland Performance Center is the ideal venue for a performance, corporate event, fundraiser, and much more. Our theatre maintains a cozy, intimate feel, with the farthest seat a mere 40 feet from the stage. Our spacious, light-filled lobby is welcoming and can accomodate receptions, speakers, and trade-show set-ups. To make your event truly unforgettable, we offer a variety of services to cater to your event needs. To familiarize yourself with the performance space and learn more about our rental services, please schedule an appointment to tour the theater and speak with our Production Manager. Email or call 425.828.0422 x 226 to schedule an appointment. 394 seats are available, including handicap seating (4 seats can be converted in the last row). Kirkland Performance Center has a full service box office with a friendly staff that is available Tuesday through Saturday. We are able to sell tickets at the door and on our website. Both reserved and general admission seating options are available, as well as generated reports and ticket pulls. If your patrons run into trouble there is someone to help on the phone for assistance. 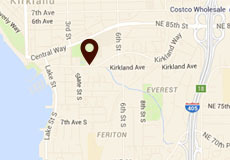 Kirkland Performance Center will also handle all city of Kirkland tax. First, you can check our calendar of events here. The calendar lists many, but not all, of our events. Then, you can submit a Rental Inquiry Form with your date preferences and we will let you know if they are available. We book out dates starting a year in advance, but there are always dates on our calendar that need to be filled. Please inquire about date availability or a range of possible date options that will work for your event. Contact mari@kpcenter.org for more information. To begin your reservation, please fill out our Rental Inquiry Form to submit your date preferences. Once we have verified the availability of your preferred date and time, our Production Manager will contact you to set up an appointment with you to review the rental contract. Your date is not reserved until you have a completed and signed rental contract.